As I was heading into my final semester at college, my father took me aside and informed me that post-exams I had three months to find a job and get out of the house. His intent was good—he desperately wanted to ensure his kids took on the responsibilities of being an adult from the get-go, to get right on with the cold-stone job of being a grown-up. Today, it looks like many consumers are finding this job of "growing up" tough. In 2013, Kelly Williams Brown released her New York Times best-selling book, Adulting: How to Become a Grown-up in 468 Easy(ish) Steps. Since then, this use of the word "adult" as a verb has exploded into the cultural lexicon, as seen by the sheer volume of memes. Things like, "Adulting is hard. I deserve some wine" and "That horrifying moment when you’re looking for an adult but then you realize that you’re an adult. So you look for an older adult … An adultier adult." This small shift in language is indicative of a larger trend, the increasingly open desire to escape the daily stresses of everyday life, and an underlying resistance to growing up. 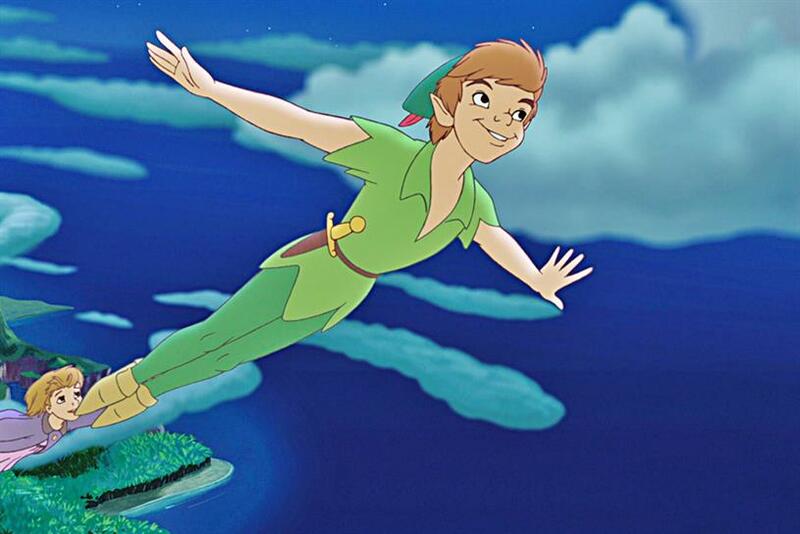 At Mindshare, we’re calling this trend "The Peter Pan market." The cultural clues to this bigger trend are everywhere: from SantaCons, to babies in bars, to Cards Against Humanity, to the recent growth of coloring books. The top 10 adult coloring books combined sold more than 1.5 million copies in 2015. Around the country, there are also summer camps for adults popping up, offering activities such as dodgeball, friendship bracelet weaving, talent shows, and a slip and slide. The only rule? Don’t talk about work. And to top it off, there are now services like "Need A Mom," in which Brooklyn Boomer Nina Keneally will do everything you wish your mom would still do, from booking your dentist appointments to spending time with you watching TV. And in many ways, the Peter Pan Market has spread to the workplace. Many companies have turned parts of their workplace into semi-fun zones, with beer o-clocks, casual dress, and in the Silicon Valley giants , slides, sleep zones, and free food. There are many possible reasons for this changing conversation about adulthood. My personal feeling is that every generation has struggled with growing up, and felt like they were faking it. But it’s only now in a more relaxed and social media-connected culture, that there’s more permission to talk about it. To poke fun at it. To openly escape it. And maybe us Gen Xers and Boomers envy the candor with which Millennials can talk about the truth about being an adult — the truth being that no one really knows what they’re doing. Whatever the reasons, the trend has created a number of interesting opportunities for brands. For instance, Ikea launched its own adult coloring book; downloaded for free, you can color in Ikea furniture to your heart’s content. (Although they also recently went against the trend when they banned hide-and-seek within their stores). Another example: wine app Vivino released its second annual list pairing wines with Halloween candy. Or, look at how Airbnb teamed up with the Toronto Maple Leafs to offer a fan a chance to stay overnight in their arena — every young fan’s dream. There’s clearly a lot more brands can do here — from being cleverly childish or playful with products and advertising, to making the new coloring book, card game, or new way to escape. Whatever happens next with the Peter Pan Market and where brands take it, I know that my Dad will probably have a thing or two to say about it. Mark Potts is head of insights at Mindshare North America, where he leads a multi-disciplined team of media specialists, covering consumer, digital, and brand insights, new techniques and media research. Millennials love self-gifting, but are brands slow to take notice?